This week Luna kicked off the next US leg of their ongoing 'reunion' (when does it stop being that?) 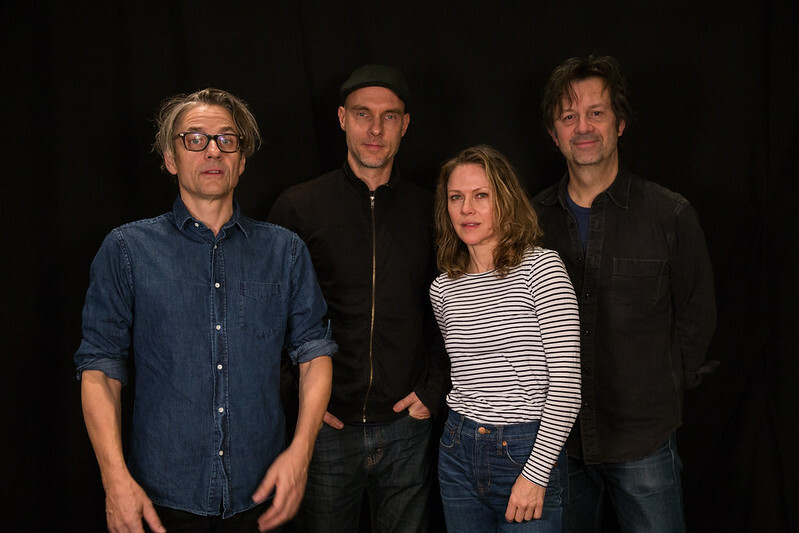 and to coincide WFUV have broadcast the session that the band recorded when they were in NYC on the last leg back in November. The set included the first public outing of their cover of Sweetness by Yes. Luna stopped by Studio A to play us a song from each of the new records and a classic from their past. I also spoke with Wareham, Phillips and Eden about their music during this episode of FUV Live. You can see video of them playing Hey Sister and GTX3 from the session over on VUHAUS. When you break up with someone you have to convince yourself that it’s really intolerable and really awful. That’s what you must convince yourself of in order to leave—you’re building that story in your mind—so it’s like watching myself do that. Looking back, maybe we should have just taken a break. The session they did for 88Nine Radio Milwaulkee is also online - audio of the whole session and video of 23 Minutes in Brussels. On 23rd January Luna will be doing a live session for KEXP - the web site says its open to the public so you should be able to sign-up for tickets somewhere if you're in the neighbourhood.